Are you looking to flip properties? If so, Property Flipper is the perfect fit for you. This app is the ideal tool for investors who want to evaluate a flip and then purchase the listings. When information about each real estate property is submitted, members have the opportunity to search through them as well as how much gain an individual will receive from selling the property. With this, you also have access to the feature that gives you a preferred profit and even provides tips on specific households. Property Flipper simplifies your search for properties to flip as well as assists you in our choice to place offers on them. The app helps you save trips back and forth to the office for your analysis and provides on-site options to type into spreadsheets. The app does the work for you! If you are thinking of putting your money into a short sale, foreclosure, or even commercial property, take into consideration this application for your smart phone. Investors and real estate agents alike use this to make a flip analysis for customers. The free version delivers reports on each property, a holding period for each listing, and even has the memory to hold photos. With each home, there comes a personalized map and supports compounding for mortgages. Upgrading to the premium version comes with its benefits. It lets users save more properties than the free version and lets them send PDF files of the analysis to others. You can also use it for several portfolios, storing numerous photos, and customizing your cover page. With a feature that displays approximated improvement costs, closing costs, and evaluations of many properties. 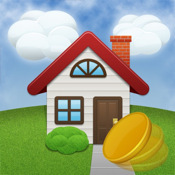 Download the Property Flipper app today to gain profit and inform clients! This entry was posted in The Robyn Report and tagged dale robyn siegel, dale siegel, diaries of a mad mortgage broker, property flipper, real estate, real estate technology. Bookmark the permalink.